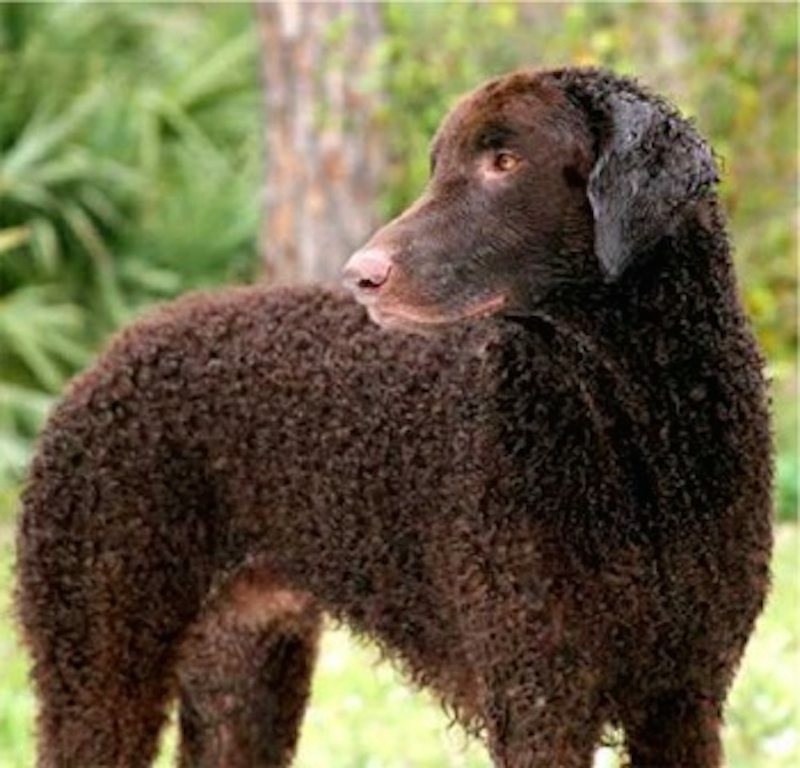 Curly Coated Retriever is one of the oldest of the retriever breeds, the Curly Coated Retriever has appeared in British sporting prints dating back 300 years. He was the first breed trained to retrieve game and deliver it back to the hunter. 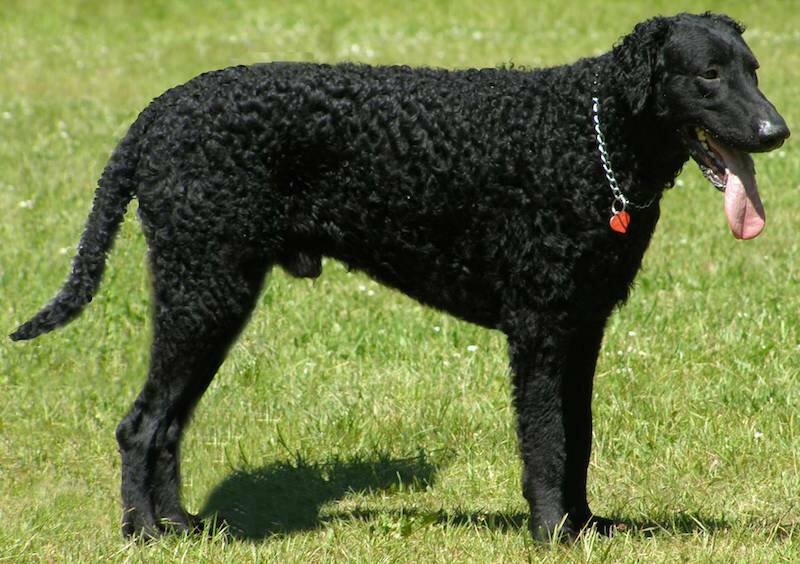 As the Curly Coated Retriever was a well-established dog breed long before breeding records were kept, his actual ancestry is not known. Educated guesses place the St. John’s Newfoundland, the Poodle, the Old English Water Spaniel and the Irish Water Spaniel in his background. 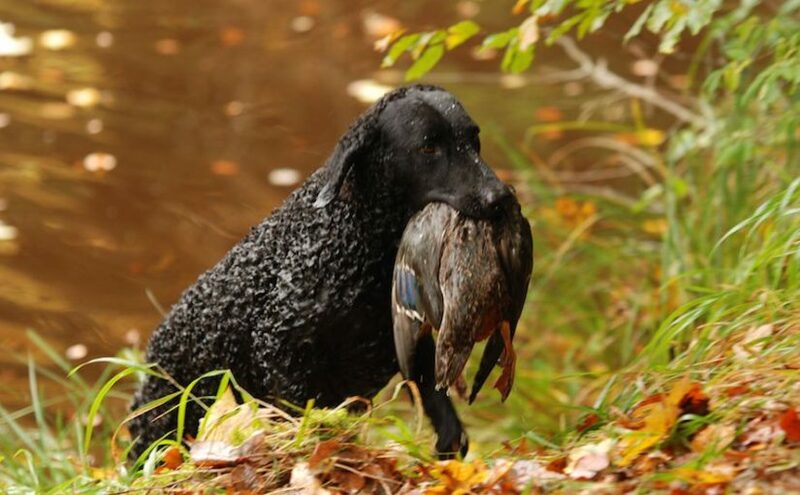 At one time the Curly Coated Retriever was the gamekeeper’s favourite dog and it is still regarded as the most efficient retriever in New Zealand and Australia where it is worked on upland game as well as waterfowl. The Curly Coated Retriever’s popularity was eclipsed by the Labrador and Golden Retrievers but it still maintains a faithful following around the world. 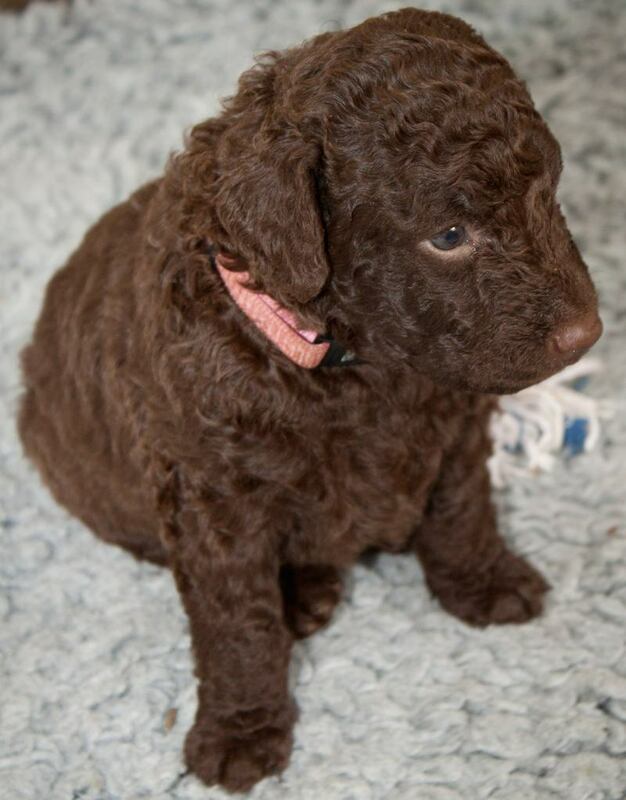 Curly Coated Retriever Temperament: A charming and gentle family companion, the Curly is self-confident, steadfast and intelligent. Independent and poised, the dog breed is alert but calm and affectionate. Coat: Coat should be one mass of crisp curls all over – a slightly more open coat not to be severely penalised. A prominent white patch on the chest is undesirable, but a few white hairs allowed in an otherwise good dog. Head: Long and well proportioned, skull not too flat. Jaws long and strong but not inclined to snippiness. Nose black, in the black-coated variety or liver in liver variety, with wide nostrils. Teeth strong and level. Eyes black or brown, but not yellow, rather large but not too prominent. Ears rather small, set on low, lying close to the head and covered with short curls. Hindquarters: Quarters strong and muscular, hocks low to the ground with a moderate bend to stifle and hock. Feet round and compact with well-arched toes. Faults: A saddle back or patch of uncurled hair behind the shoulder should be penalised.